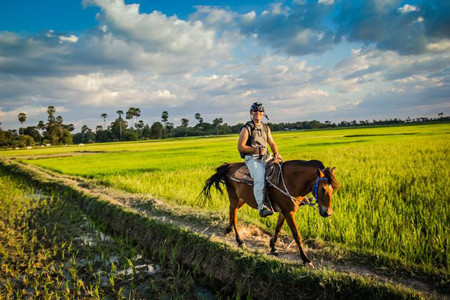 Experience the 8-day Cambodia tour to discover the mystery of this Kingdom. Explore the pristine beauty and majesty of the Angkor complex, Royal Palace, and other famous monuments. 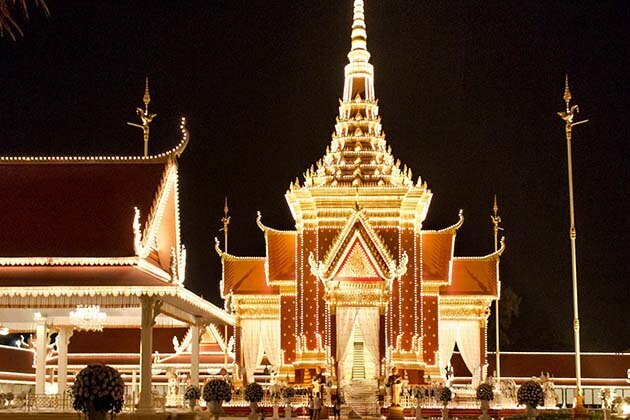 Feel the friendliness and hospitality of the Cambodian people. 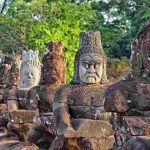 Spend 8 days and 7 nights for a trip to Cambodia giving you the opportunity to discover from the relics on the land to the beach on the island. 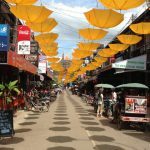 The first-day arrival in Siem Reap – the city famous by the Angkor Wat complex and many other unique structures, you will receive the warm welcome of your tour guide. You may feel very anxious to visit the Angkor ruins, but do not rush! Take a break at the hotel, spend a day relaxing after your trip and enjoy the Cambodian atmosphere on Siem Reap land. 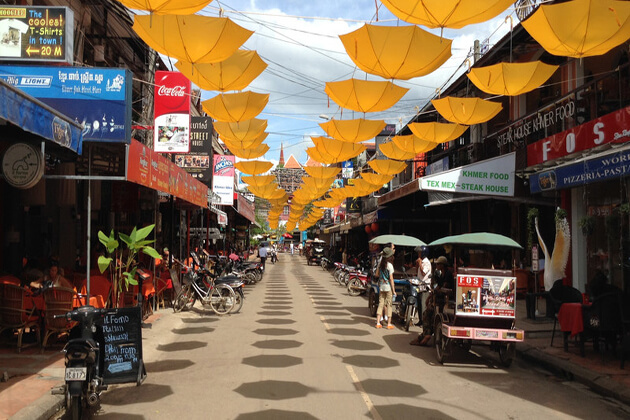 Get out on the road, experience the exotic traffic in Siem Reap city, where people sit on car covers to move. Talk to the locals a bit to find that Cambodians are very friendly and hospitable. 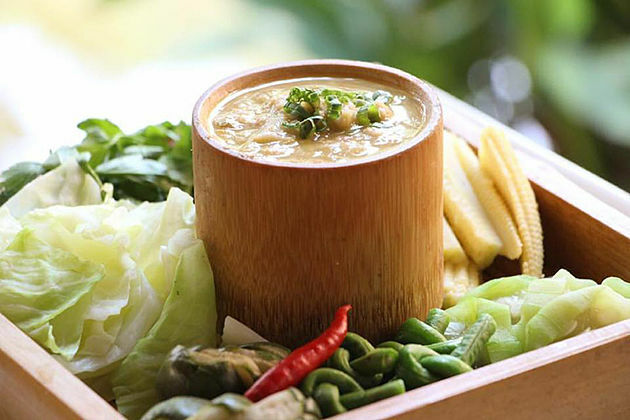 In the evening, enjoy Cambodian cuisine at the famous restaurant and overnight in Siem Reap. The vibrant nightlife here will make you feel so much fun! 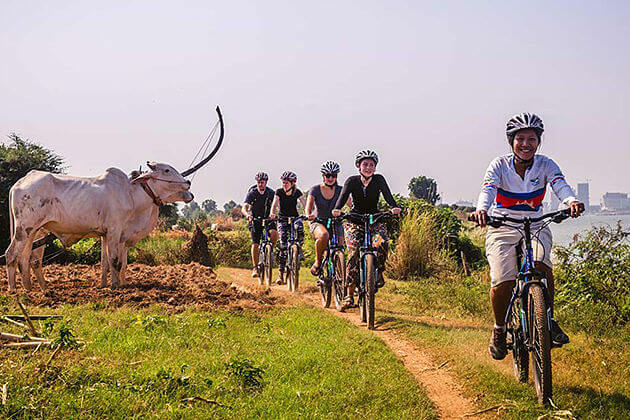 To have an excellent Angkor Wat tour, we should take at least a day to fully explore the monuments, landscapes and cultural sites in Angkor Wat. But before you go to visit Angkor, you should first prepare some knowledge of the history of the temple. You will visit the Angkor National Museum, cost about $ 12, to explore the region’s history, the influence of the Khmer empire and what to do when visiting the temple ruins. This is a multimedia exhibition museum and offers some examples of architecture, form, sculpture motifs of the sites within the temple grounds. The museum also explains the blend of Hindu and Buddhist beliefs through symbols found at the temple complex. 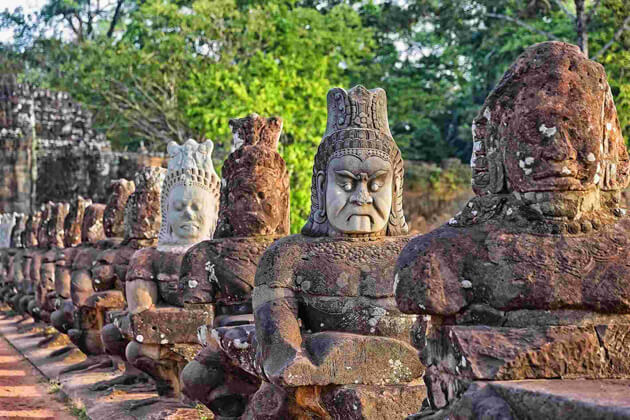 After learning some knowledge of Angkor, you will feel more confident to begin your Angkor Complex tour. First, you will visit the Angkor Wat Main Hall – a three-tiered structure, connected by long, deep corridors. There are also carvings of reliefs, according to the ancient accounts of the Mahabharata and Ramayana epics. Next, you will be taken to Angkor Wat – one of the largest temples in this world cultural heritage complex. After visiting Angkor Wat, you will continue to visit Angkor Thom, Little Circuit, Big Circuit, Roluos, and temples. Late afternoon and sunset are also ideal times to admire the beauty of Angkor Wat. Finish a wonderful day tour by taking moments to admire the sunset in Angkor and capture some memorable photos. Continuing your Cambodia tour today, this will be a great opportunity to take part in the Tonle Sap and Kampong Phluk floating village tour. Transfer to Kompong Phluk: in the dry season (February – July) by motorbike/minibus (depending on the number of delegations); In the floating season (August – November) by boat. The trip will take you around the lake, an area of a sky full of water. Besides, you will discover the life of the people living in one of the floating villages on the Lake of the Kompong Phluk. Tonle Sap is a system of combination of large lake and river in Cambodia. The lake is also known as the largest freshwater fish in the Mekong region and is recognized by UNESCO as a biosphere reserve in the world. This is also a very crowded population, not only the Cham but also the Vietnamese. You will visit Chong Khneas, it is not only a village on the shore of Tonle Sap but also a famous floating market here. 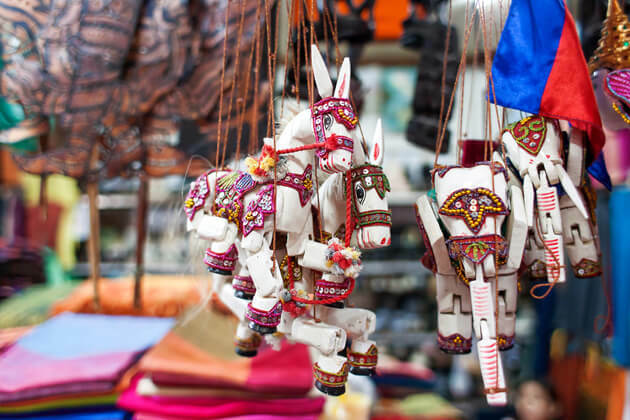 You will be able to shop for some gifts at the Chong Khneas floating market as souvenirs for your Cambodian tour. Then you will continue to visit the floating village of Kompong Phluk, which consists of three small villages, all built on the water. This place looks beautiful with nice and close houses, schools, churches, pagodas … floating on the river. 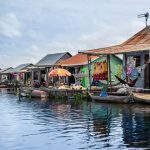 This floating village is located about 16 km from Siem Reap and is one of the interesting tourist destinations in Cambodia. When you come here, you will have a pleasant experience when passing through a green mangrove forest. Continue to Tonle Sap. Take a boat for about 1 hour and 30 minutes on this lake, see the life of fishing villages, migratory birds and the beautiful scenery of Tonle Sap. After a lake cruise, return to Siem Reap, where you can relax at the hotel and spend the night in Siem Reap. After breakfast, transfer to a small village 40 km from central Siem Reap. Experience the lives of local people here. 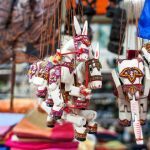 On the way, you will meet and have the opportunity to visit a non-profit organization where local women work here as a traditional handmade weaving artist. 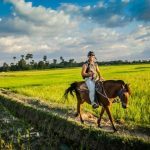 You will go through the rice paddies in a cart and breathe pure chest in the fresh air in this countryside. It will be a pleasant experience. 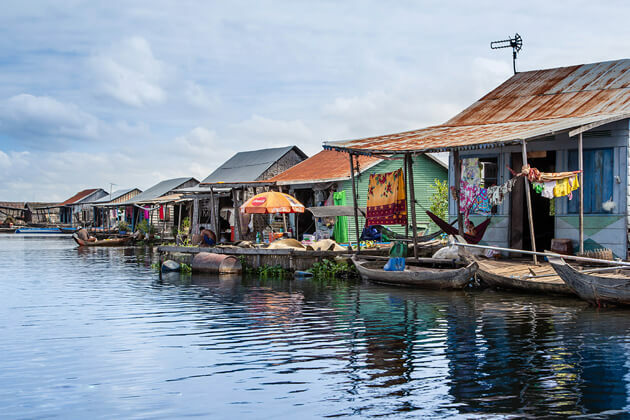 Then, walk around the village where you have the opportunity to experience activities such as fishing, aquaculture or livestock, depending on the season of the year. In the morning, enjoy a simple Khmer lunch, followed by more activities or simply spend time chatting with local people to understand more about Khmer culture. Ending Day 4, on the way returning to Siem Reap, you will stop at a Buddhist temple to receive a blessing from the monks. We continue our Cambodia vacation. Today is your last day in Siem Reap. Have a free morning to visit places you have not been to in this city. Take a rest or stroll around the famous shopping areas or markets to enjoy a few exotic dishes or buy some souvenirs before saying goodbye to Siem Reap. 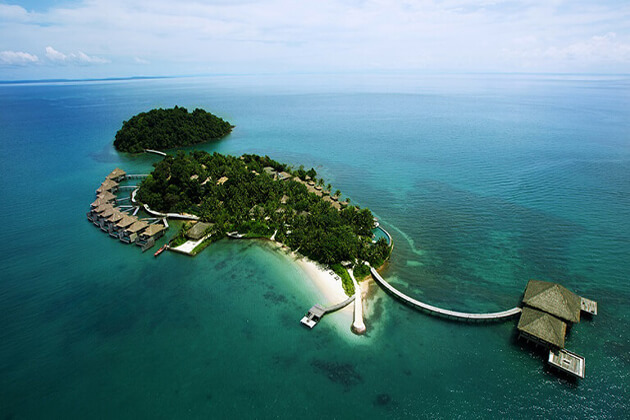 In the afternoon, you will travel to Sihanoukville by plane, promising great Cambodia holidays in this real paradise. It is not wrong to say that this is the most famous coastal city in Cambodia. The white sand beaches, the warm waters of the Gulf of Thailand combined with the pleasant sea atmosphere have created a tourist destination that helps travelers avoid the heat of the tropical climate. Sihanoukville is a tourist spot that can rest on the seashore, enjoy fresh seafood, dive, reduce stress and have fun. 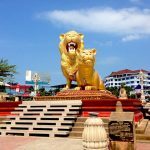 Sihanoukville has a lot of places to relax, including a 5-star resort on Sokha Beach, some popular downtown locations and off the beach, some upgraded to 3-star hotels, and many guesthouses. Popular, especially on the hill of the meteorological station (also known as Victory Hill). Although the number of visitors to Sihanoukville is moderate, it is surprising that the city has many restaurants and bars. Fresh seafood, especially crabs, shrimp, and sea fish, is always one of the most attractive in the city. But there are also many places to serve foreign dishes – such as Vietnamese, Thai, Australian, French, Indian, German, Sri Lankan, English, Italian, several pizza shops, bread shops, a bakery, and a cafe espresso. Today, Sihanoukville has a bustling nightlife with bars open late at night, especially on the meteorological hills, in the central area, and beach bars like Ochheuteal, Serendipity, Victory. Free day at leisure. 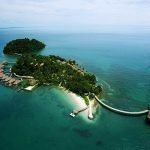 You can sunbathe, soak up the blue waters and visit other tourist attractions in Sihanoukville such as Kampong Pier Nup Lok, Vimean Tao Meas, Iber Bilkhalifah Mosque, Independence Square. 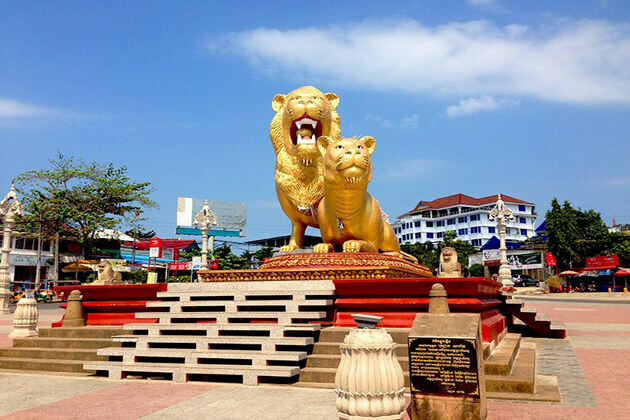 The last days of your Cambodia trip in the seaside city of Sihanoukville will probably be enough for you to relax and prepare for a good health trip to Phnom Penh, out of Cambodia on your flight.